Meditation Pittsburgh PA. Spiritual transformation for Inspired living. of spiritual happiness and vibrant health? You will experience the power of SPIRITUAL COMMUNITY to nurture well-being and permanent spiritual transformation. Moreover, this is far greater than videos on YouTube, books, or hibernating at home with your yoga mat! Come Join Us! The Yoga of The Siddhas. 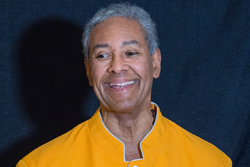 This live, intro webinar is a sneek peak of what’s in store for you on Thursday, June 6th when Sadguru Kedarji will lead an event at our spiritual center in Pittsburgh. **See below for details and reservations for June 6th in Pittsburgh. Join Us At Our Spiritual Center In Pittsburgh! Learn to lead the lifestyle of the most spiritually-powerful, happiest and healthiest people on the planet! This live program will be led by Sadguru Kedarji and will pick up where the live intro webinar leaves off. Experience the indescribable Joy of the Inner Self. You will be taught methods for increasing your daily experience of Kedarji’s 4 Pillars of Total Well-Being described above. **The first 10 people to reserve will receive a free PDF download eBook copy of Sadguru Kedarji’s new book, Ecology of Wellness, when you attend this program. Names will be announced in the program. Reserve using the form to the right. Your reservation will be confirmed by email and/or phone, along with the location address on Olympia Road. There is a $15/person suggested donation collected at the door. Reserve Here For This Evening Event On June 6th. All fields Required. Bring As Many People As You Like. Introduction to Nityananda Shaktipat Yoga with Sadguru Kedarji and staff teachers. In particular, these are 90-120 minutes in length. Accordingly, they are live webinars offered on the Internet. You can be access these from any desktop, laptop or mobile device. Most importantly, these webinars are designed to introduce newcomers to our school’s curriculum. Also, you are given an understanding of how our offering can be useful for your spiritual growth and wellness. As a result, these webinars are offered on our webinarjam channel. Nityananda Shaktipat Yoga is a curriculum for meditation Pittsburgh PA. You are offered proved meditation methods and proved methods for permanent spiritual transformation. Moreover, you are offered an effective pathway for inspired living through total well-being. Programs, retreats and courses designed by Sadguru Kedarji are offered for you to experience a new dimension in permanent spiritual transformation, inspired living and total well-being. All are welcome! Additionally, these Pittsburgh events are led by Sadguru Kedarji and certified staff teachers of Nityananda Shaktipat Yoga. Most importantly, these events are designed to give you an experience of what is in store for you when you engage our school’s curriculum. Also, we offer regularly scheduled evening programs in Youngstown, Ohio. Courses and retreats are also offered. All of these take place at our Shaktipat Meditation, Wellness & Spiritual Retreat Center . Do come and join us there!